It’s always special to win an auto race. And it’s an added bonus when the business serving as the primary sponsor for your car is from your home state. 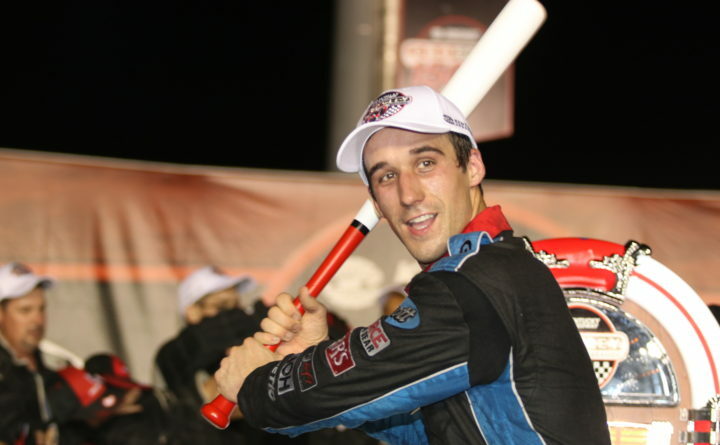 With Bangor’s Cross Insurance serving as the primary sponsor on his Ken Schrader Racing Ford, Fort Kent’s Austin Theriault survived a wild finish in the Crosley Brands 150 to capture his series-leading seventh win in the ARCA Series on Friday night at Kentucky Speedway. It is the most wins on the ARCA circuit since Parker Kligerman won nine races in 2009. Theriault withstood challenges first from Sheldon Creed and then Zane Smith on a green-white-checker (two-lap) finish to take the checkered flag and pretty much sew up the points championship. The 23-year-old said it was nice to notch a win with a Maine sponsor. “For a small state, Maine has a lot of heart and a sense of community,” said Theriault, who added that Cross Insurance epitomizes the state and the work ethic of Maine people. Theriault finished fourth earlier this year with E.J. Prescott Inc. of Gardiner as the primary sponsor for the Sioux Chief PowerPEX 200 at Lucas Oil Raceway in Indiana. On Friday, there were wrecks behind Theriault on a restart with 14 laps to go and on another with seven laps remaining leading up to the green-white checker. He primarily stayed on the bottom groove. In addition to the seven wins, Theriault’s remarkable season also includes 16 top-five finishes in 19 races, 12 top-threes including his current string of seven in a row, and 11 top-twos. He hasn’t finished out of the top 10. He said it has been beneficial to spend an entire season racing and doing so with the same team. He hasn’t been able to race for a points championship in several years because he landed only limited-race deals in the Camping World Truck and Xfinity Series. Another deal, on the K and N Pro Series East circuit, ended prematurely last fall for business reasons with him running third in the points battle at the time. The final race this season will be held on Oct. 20, the Kansas ARCA 150 at Kansas Speedway. Theriault said he was under the impression that all he had to do was start the race at Kansas to claim the points championship, but he said his goal will be to complete the season with his eighth win. 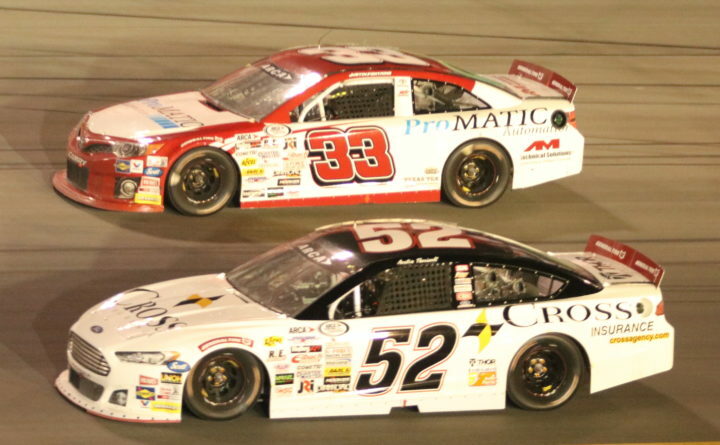 Theriault entered the Crosley Brands 150 with a 375-point lead over Dalton Sargeant and he expanded that lead as Sargeant finished fourth.